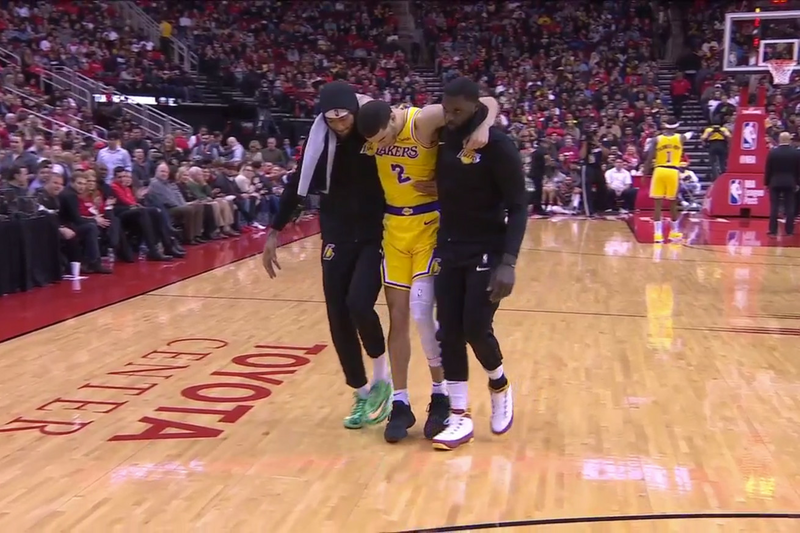 Lonzo Ball went down with an ankle injury the the third quarter of the Lakers’ game against the Rockets on Saturday night. Ball, who has a history of ankle injuries and had knee surgery over the summer, looked to be in a whole lot of pain. He stayed on the ground for a while and had to be carried off the floor by Michael Beasley and Lance Stephenson. The Lakers are calling the injury a sprain for now. According to the L.A. Times’ Dan Woike, Lonzo is being taken to a hospital for X-rays since the one at the Toyota Center isn’t working.